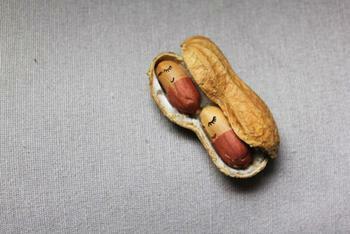 If you’re a recent parent, you may be wondering how and when to introduce your little one to food containing peanuts. For guidance, parents of infants can look to guidelines from the National Institute of Allergy and Infectious Diseases (NIAID). In the new guidelines, which are set to be published in early 2017, the authors provide helpful tips on introducing infants to peanut paste or peanut protein in a safe manner. Where should parents begin? In some cases, perhaps with a trip to an allergist. Dr. Amal Assa’ad, co-author of the guidelines, explains that parents should first determine whether or not their child is at high-risk for peanut allergy. "Before introducing peanut-containing foods to a high-risk infant, the infant should be seen by their primary health care provider who will determine if referral to an allergist for testing and/or in-office introduction is needed," Assa'ad said in a release. The guidelines state that severe eczema and/or an egg allergy are among conditions that may put infants into the “high-risk” category. After a doctor has determined that it is safe, high-risk infants can be introduced to peanut-containing foods when they are around 4- to 6-months old. "If your child has in-office introduction and is found to have a peanut allergy, they'll need to avoid peanuts altogether, and have an annual evaluation with an allergist," added Matthew Greenhawt, an allergist and co-author of the guidelines. While severe eczema may be a red flag, the guidelines note that children with mild to moderate eczema do not need an evaluation. These children can be introduced to peanut-containing foods at home at around 6 months of age (provided they have already started solid foods). If no egg allergies or eczema are of concern, peanut pastes and proteins can be introduced at a time of the family’s choosing. Previous studies have found that feeding high-risk babies peanut products during infancy can help prevent peanut allergy, but safety should always be considered during the introduction. Never give whole peanuts to an infant. Whole peanuts can pose a choking hazard. To create a peanut puree, mix two teaspoons of peanut butter with hot water. After giving your child a small taste of peanut butter, observe your child. Watch closely for any skin or behavior changes. Only introduce peanut-containing foods when your child is otherwise healthy. If your child has a cold or other illness, it’s best to wait until they are well before introducing the new food.